Discover the secrets to making money from your photography and Brent's new portrait photography course giveaway. Share - New podcast, PhotoProfit - How to make money from photography. Inspire - After dark with yachts and fires! Create - Become a better portrait photographer in 10 days with this free course. (08:11) What's inside the course? Share - New podcast, Photo Profit - How to make money from photography. Something you can do straight away that only takes you 2 minutes. Johny: Hey guys what’s up? Its Johny here still sitting and welcome to another episode of the SIC show and as always I am super pumped to be here. And I’m here with my main man B. How are you my brother? Brent: I’m awesome because this is my show so he’s gonna keep quiet. Johny: This week on the show Brent is gonna share about his brand new podcast. He’s gonna help you make money from your photography. Brent: Yeah I’m gonna inspire you with great image from my after dark assignment in the SIC lounge. And I’m gonna let you in a little secret. It’s a brand new course I’ve created, it’s free. 10 days to become a better portrait photographer. Enjoy. Johny: Epic man, let’s get into it. Johny: Hey buddy share something with us my man. Brent: Alright guys so I wanna share this really cool thing that I’ve just started. It’s called Photo Profit. It’s a Podcast where I interview professional photographers out there who are making a great living out of photography. Johny: Hey before you get into it, do you wanna give them the sneak peek of the art work? Johny: Check this out, there’s little sneak peek of the art work I put together for this. Really cool man. Brent: Awesome, good. So guys, just really quickly what’s this about? So it’s an audio in any podcast so there’s no video. And we interviewed these guys and really get down and dirty on what’s working for them. So I’ll just give you a little sneak peek on who I’ve actually interviewed so far and what’s coming up in the Photo Profit Podcast guys. So Neil van Niekerk is a photographer from New Jersey, an amazing portrait photographer. He tells us how to publish a book and get onto Amazon and position yourself. I mean Stephan Bollinger from Gold Coast also an amazing model photographer. We got Leigh Diprose he talks about making money out of stock photography, amazing stuff. Pamela Morello, a wedding photographer extraordinaire you know how’s she actually gone from a team of one to a team of 13. Brent: In 2 years how she did it. Paul Pichugin, he talks about following his passion and changing photography niches. So he’s doing a wedding and portrait photography. And he loves travel and landscapes photography and made actually a living out of that. There’s Photo Joseph, he talks about running a photography business in a small town in the U.S.
Johny: Wow man that’s amazing. There’s so much great stuff there. Brent: There’s John, I did a case study with John who’s just starting up his photography business. What he’s learnt in the last 4 months. Johny: So basically what he’s saying man we’ve got real life case studies of people who are actually making money from their photography and you guys are gonna get to hear these tips. You know I love about it too, the only format guys if you’ve never listened to a podcast before it’s amazing. I love it. You can be listening your podcast, doing your work, driving, there’s so many things you know and you can be consuming and learning. In fact that these people are actually making money for photography and they’re gonna give you the tips on how they’ve done it. Man that is just awesome. Johny: that’s gonna take your business to the next level or if you’re at that stage where you wanna go pro it’s gonna help you get on this level man. Brent: So a couple of exciting people coming up I think tomorrow. I interviewed Varina Patel on making money online. Brent: And hopefully Frederick Van Johnson. Yes so I’m really excited guys. So that’s the share today. Probably by the time this video comes out you can click above and actually join my Podcast and listen to some theses audios. Johny: Yeah man, that’s epic dude. You know the business of photography often and talked about it and people don’t wanna tell you what’s going on and having those insights man so valuable, awesome buddy. After dark with yachts and fires! Johny: Alright buddy, inspire us with one of your awesome images. Brent: Alright guys, so this image I took just like 2 days ago. It’s currently in the Share Inspire Create lounge, our awesome photography community. We’ve got this after dark assignment right now. Brent: Oh I’m gonna bell at it. I felt like something without a place. The world just went alone but now everything is correct. Brent: Okay, so we’ve got this after dark assignment. So everyone’s putting their images. We got some great feedback on these images. I thought I’d go out and shoot and image specifically for this assignment. So I went down to the local beach down here; my new local beach Shoal Bay. Co we moved in the last 2 months. And I photographed this image in front of a headland with the sky. It was actually after sunset. It was after dark. But we had these fires in there and they’re burning off and there’s a lot of smoke in there. So I thought it might be quite a good sunset. It might be a little of after glance. And this is what I got. So I actually shot it with one lens. I challenged myself. I took my 70-200 lens down and it’s normally use for landscape photography. 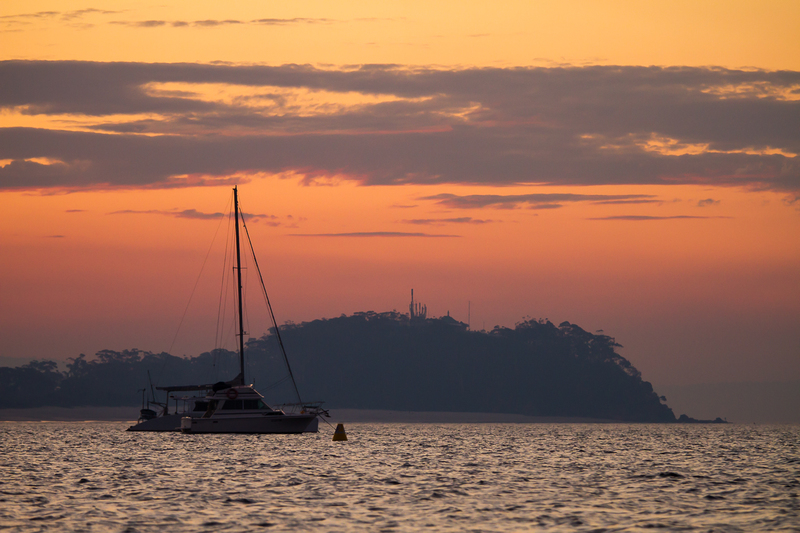 And I went down and I photographed these yachts in front of these headlands with the sky in the background. I tried different angles. I tried to get really low to the water. Anyway this is the one that I put into the Share Inspire Create lounge as the after dark and my contribution to the latest assignment. Johny: Yup cool man. I mean one thing that’s always forgotten in landscape photography is long lenses. There are some of the images that you can choose with the long lens. Man I love white. There’s nothing well I love seeing the foreground wrapping that lens. But man putting that long lens it just changes everything. And people forget. There are so many great images to be created in landscape with long lens. I think you’ve done a great job man. Brent: And I shot it at a wide open aperture too which are often you don’t shoot with landscape photography because I wanted to get the yacht in focus and the headland out of focus. Johny: And I notice the foreground is out of focus there as well. And I actually don’t mind that. I like it. Brent: Yes, and I had to get really low to the water and it’s actually on my hands and knees. Johny: And you can see the hands and knees. Brent: Yeah I was. I was in my elbows photographing. Johny: That was extreme bro. That’s great, awesome. I’m loving these assignments man. That’s one thing I love about the lounge. I’m so in love. It’s great man. Johny: Alright brother, teach us something. Brent: Okay so the Create section guys, is the new course that I’ve created for you. If you’re interested in portrait photography and you want to become a better portrait photographer, it’s a free course. Just like Johny I’ve spent 3 months putting this course together for you guys. And I’ve collected all the content that I already put out and I’ve created new content specifically for this course. So it’s sequential and you actually do when. You actually learn things. So let me run through on what you will learn. Johny: So what’s it called man? I wanna know what it’s called. Brent: It’s called 10 Days to Becoming a Better Portrait Photographer. Johny: Love it man. That’s awesome. Guys since we got the bell out a couple of segments ago. I’m just getting a bit happy. Brent: You are, one of the things you have is the belly laugh right? Brent: Shut that up. Can I tell them about the 10 Days to Becoming a Better Portrait Photographer? Johny: Yeah, yes you can. Brent: Okay great thank you. Brent: Alright guys, so what I’ve done is it goes over 10 days. So you get one email a day over 10 days. Johny: Hey by the way, I love that the fact that you don’t get the whole thing and you get overwhelmed from the get-go. Coz I tell you what man, there’s nothing worse when you get a course and you’re so pumped. You get through lessons in the last 20 or you don’t get time to watch. So it’s a beautiful format you know. 5-10 minutes each lesson, you’re done, you’re learning, get to the net one the next day, and love it. Brent: And if you’re wondering why Johny is shorter than me, co he still got his ankle broken. Brent: So I’m standing and he’s sitting. Johny: 2 weeks later, I got another 2 weeks. Brent: Okay shut up and we’ll talk about this course. Okay so the course is over 10 days. Let me run through it really quickly. So the first day I give you a quick with something you can do straight away that only takes you like 2 minutes. Johny: Oh don’t give it away. They can take the free course. Brent: Something that you can really improve your photography, straight away, really easy. Then we go to what’s in my camera bag. All the stuff that I’m using and you need to have in your camera bag if you wanna be a great portrait photographer. Johny: Which hey but mind you it isn’t many things. You’d be very surprised you know Brent’s run a whole business on one camera and one lens basically. Brent: One lens and one flash. Brent: My million dollar camera, have a look at one of the SIC show. Johny: Yeah, we’ll link to it. Brent: So we also go through like “The biggest photography mistake you’re making” and a lot of people are making this and don’t even know it. Johny: I’m making that mistake coz I’m not a portrait photographer. Brent: Probably yeah. And we’ll run through “9 of my best images and what actually makes them good’. Brent: So you know what’s good. We’ve gone through “A quick 2 minute portrait edit”. So I’ll show you how to actually edit an image in less than 2 minutes. That’s kind of my hack of how to do it. Johny: Which is great, if you’re shooting commercially or for money then you don’t wanna be spending on hours on every image. Man you might have to show your 50 images, you don’t have to spend 2 hours on every image. Man that’s awesome. Brent: And that’s what I actually used in my studio. So the rule I’ve had if you spend more than 2 minutes on an image you’re fired. Johny: He you don’t have many employees. Johny: Hey what day we’re up to man? Brent: We’re 8 now, “Isolating your subject using shutter speed”. Now this is actually a sneak peek into one of the premium courses we got in the lounge and no else has access to this one. Johny: Yup, you need to be in the lounge man to get this. And you’re getting it for free. Brent: For free, a sneak peek. Johny: it’s actually amazing. I totally get insane. Brent: And then we go through “An easy portrait fix”. Brent: So it’s getting rid of things in your image. It’s like post processing a bit. And we run through an inspiration email that’s gonna inspire you coz a lot of us might get overwhelmed and use this inspiration and that’s not good if you wanna be a great portrait photographer. So there’s my course, guys. There’s gonna be a link somewhere. Brent: And grab it for free. Get it now and enjoy it. Johny: And we actually have a couple of hundred people have enjoyed already didn’t we? Brent: Yeah and we just put it out there and it’s like everyone is taking up so it’s really good. Johny: Yeah man jump in. I think you know what? I think I should take it coz half of these things I’m like “yeah that’s me”. Brent: Awesome guys, so there it is. It’s been another great SIC show. It’s been my show. Johny: Yeah it’s Brent’s show. Brent: Coz he’s smaller than me today. Johny: By the way this is Brent Show now, bye bye. Brent: Okay guys, so that’s it. Make sure there are 2 things you need to do on the show. 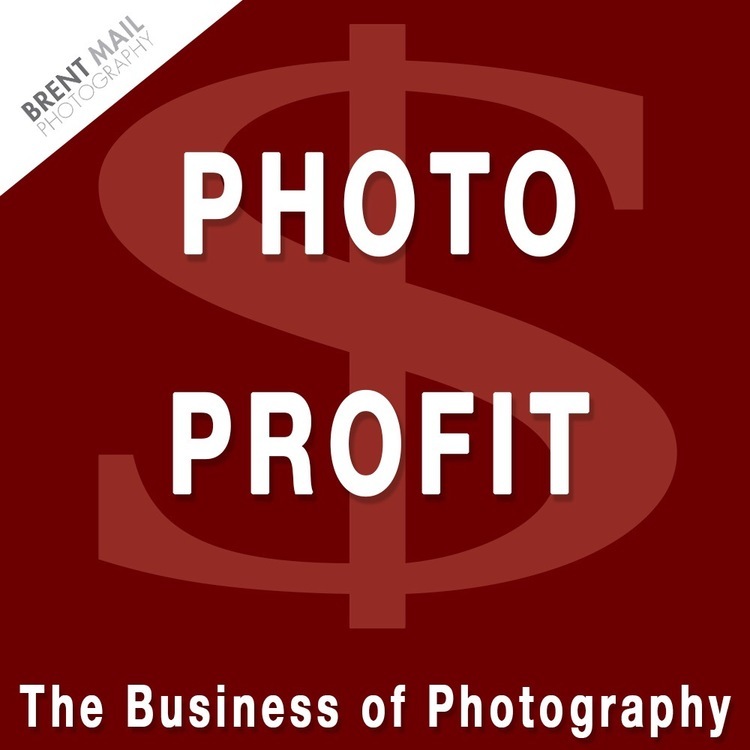 Brent: Sign up to my Photo Profit Podcast and listen to some of the episodes as it coming out weekly. And then also grab my portrait photography, 10 Days to Becoming a Better Portrait Photographer free many courses now and you know what in 10 days’ time if you’re not a better portrait photographer you can have your money back. Brent: it’s free by the way. I will find you. Johny: There’s a slight post there. I think I need a coffee. Anyway, that’s it man. Epic show, love it bro. Do what he says because man I tell you what, you’re gonna benefit. And you know what I love man? Johny: I love free because free means we can help people. We can help people further. You know what I mean? Johny: You take a free course just like it reaches out getting further and helping more photographers master their craft so absolutely epic brother. Brent: And we put a lot of energy into creating this course or I have at least. And Johny has a free course too. But we’ll jump into it. Johny: Another show man you’ll hear about it. Brent: Awesome guys, see you next week, bye. Johny: Yeah take care, bye.